In many regions, Wednesday, Budhwar, is dedicated to Ganesha. Puja, worship and rituals performed on the day to Ganesh helps in overcoming Budh Navgraha dosha in the janam kundali (horoscope). Ganpati is the Lord of Budh Navgraha. Here are few tips to get the blessings of Ganesha by offering pujas and prayers on Wednesday. Offer food made using ghee and jaggery as Prasad or bhog to Ganesha on Wednesday. A part of the bhog should be given to a cow. Doing this is seen as remedy for financial problems. If the house is haunted by black magic, enemy activities or by other negative elements, then keep a white colored Ganpati murti in the puja area on Wednesday and offer prayers to it. Offering green gram at ganesh temples will help in overcoming Budh graha related problems in the horoscope. Visit a Ganesh temple on Wednesday and offer 11 or 21 blades of Durva grass. This will help in removing all forms of obstacles related to marriage, business, job, and other aspects of life. Offering Shami tree leaves to Ganesha on Wednesday will help in sharpening the intelligence. Students should perform Ganpati worship on Wednesday with Shami tree leaves for performing well in studies. The same offering also helps in removing difficulties in the house. Offer prayers to Ganesha and wear panna stone jewelry on the small finger on left hand. This will help in alleviating navgraha dosha. 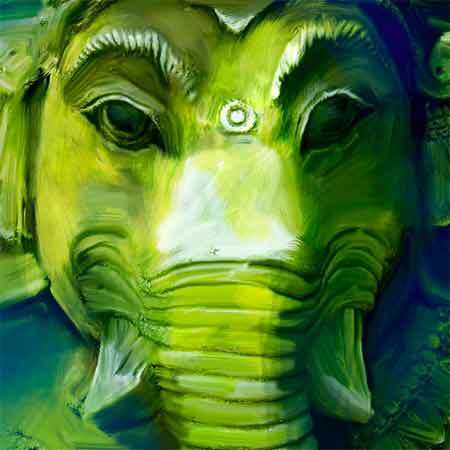 Offer Sindhoor to Ganesha on Wednesday to remove obstacles in life and to usher in peace and prosperity.